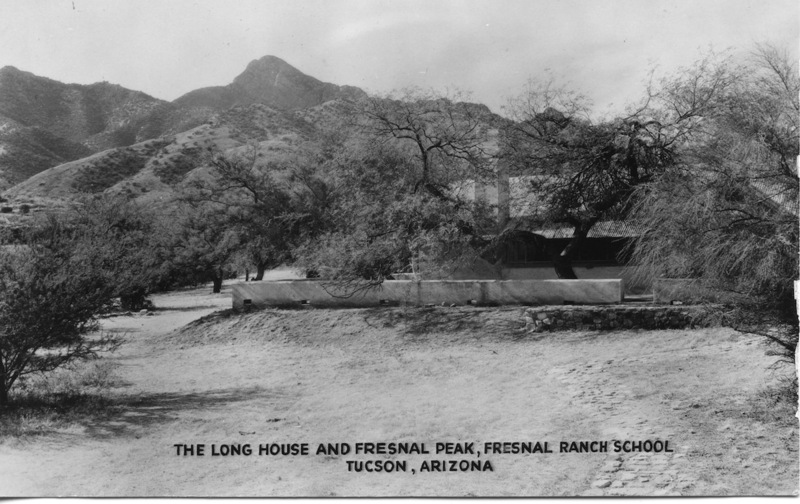 Grace and Ernest Miller, founding members of the Dude Ranchers’ Association, found a perfect spot for a winter guest ranch operation at what had been the Fresnal Ranch School. 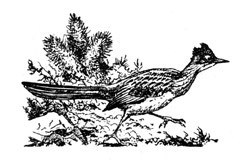 Their aim was to build a winter operation to complement their summer Elkhorn Ranch operation that began in 1922 in the Gallatin Valley of Montana. 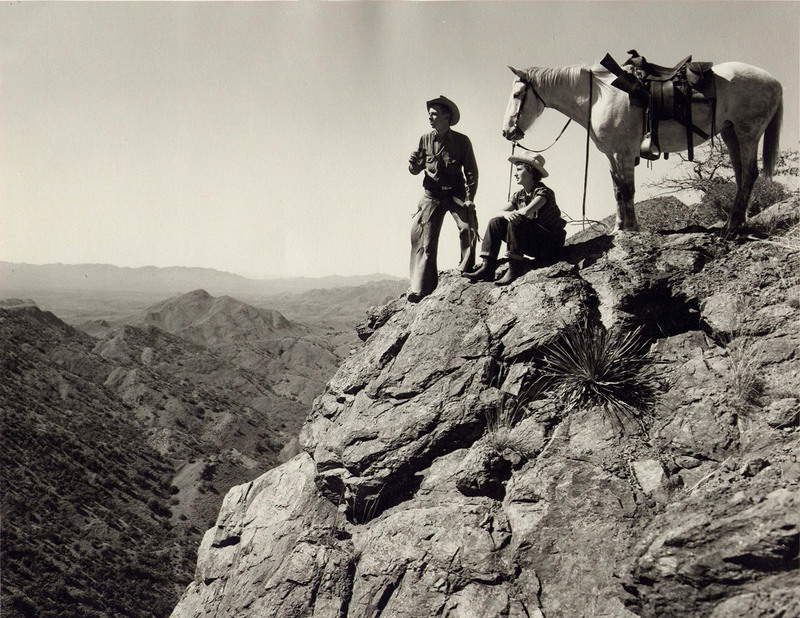 Arizona Elkhorn Ranch guests first rode high into the Baboquivari Mountains in the spring of 1946. 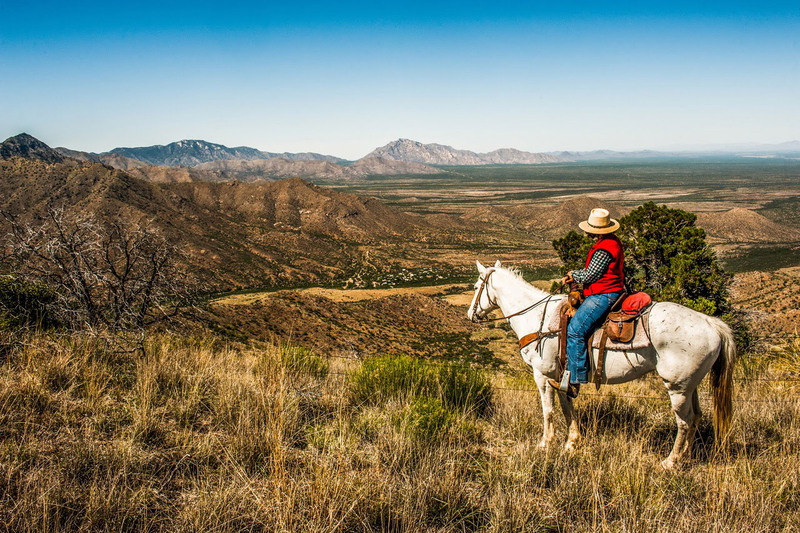 Several generations later, today’s Elkhorn Ranch visitors experience the same big views. 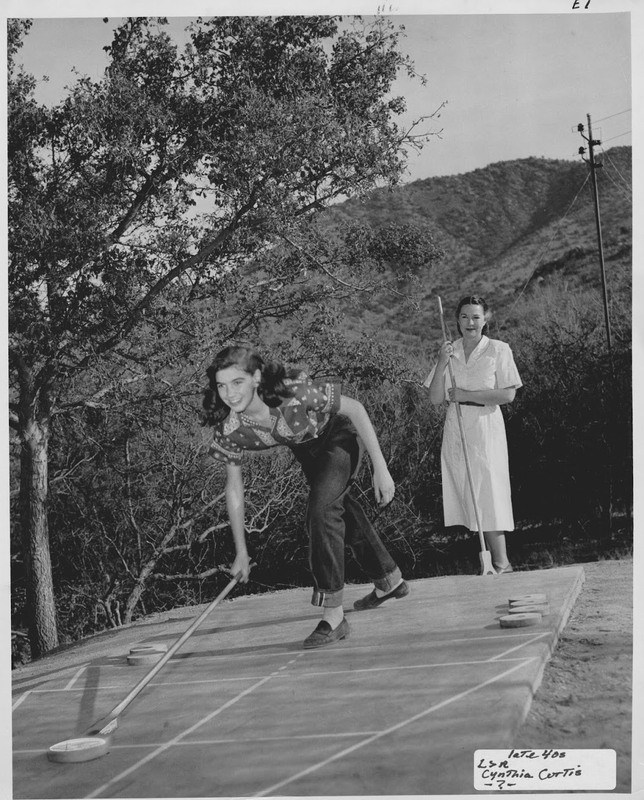 Sadly Ernest passed on soon after purchase of the Arizona Elkhorn, but Grace and her son Bob and his wife Jan carried on. 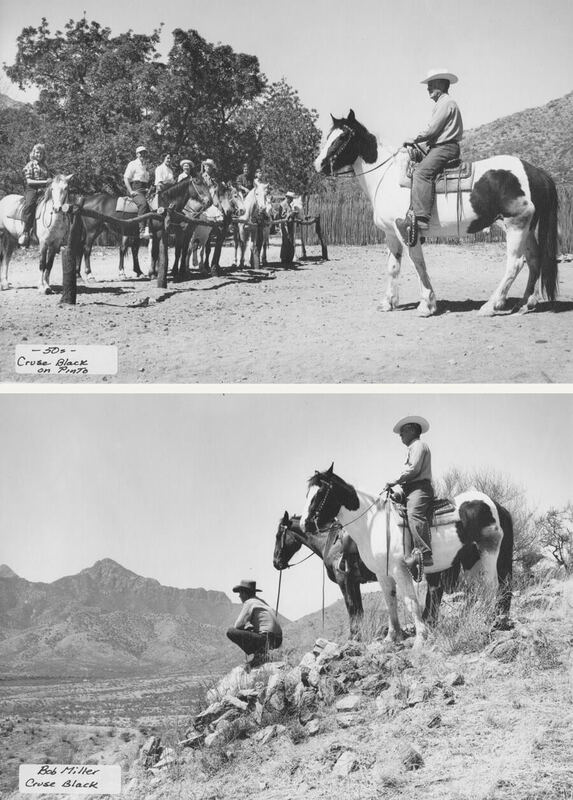 For many years, horses, saddles and all the trappings of guest ranch hospitality migrated north and south with the seasons — many guests did the same! 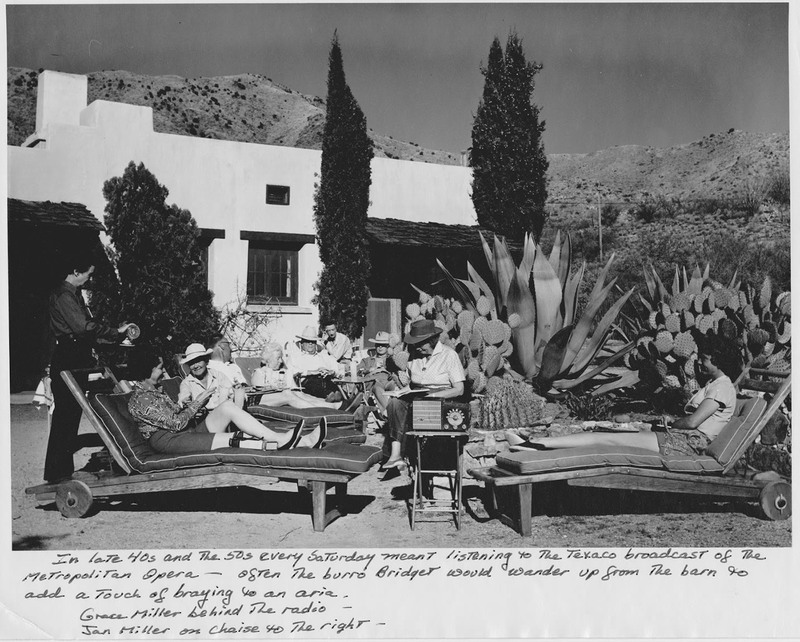 The Saturday morning Texaco broadcast of the Metropolitan Opera, enjoying from the sunny Pueblo yard, was a flourishing tradition in the late 1940s and 1950s! Cruze Black, a guide and true mountain man, came south with the Millers from Montana. 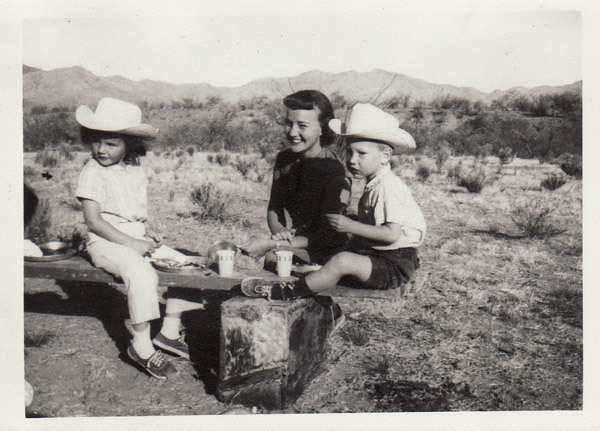 Bob and Jan settled permanently in Arizona in 1961; and Bob’s sister Barb and her husband Ron took the reins at the Montana Elkhorn Ranch. 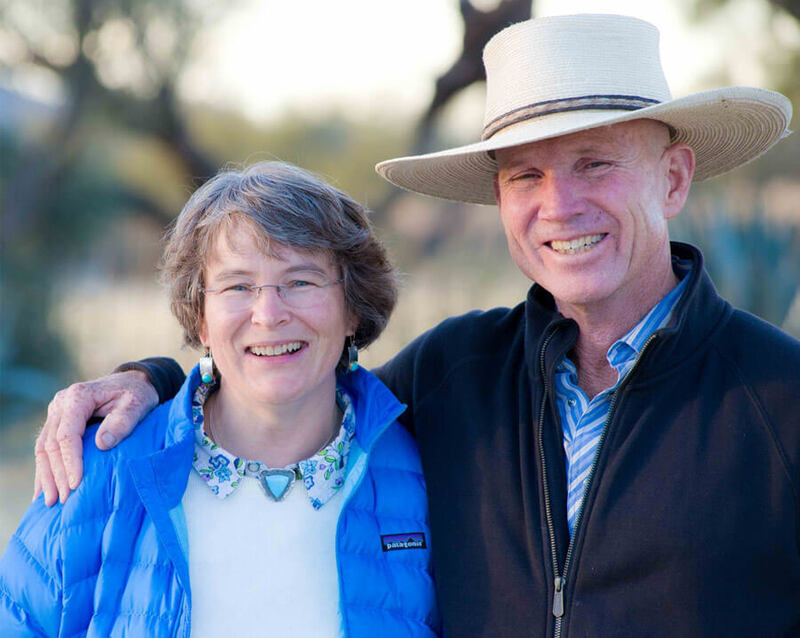 Today, Grace and Ernest’s grand-daughter Linda Miller manages the Montana Elkhorn Ranch which continues to be an exceptional guest ranch owned by the Minton Family. Bob and Jan, with the help of their four children Linda, Don, Charley and Tom built the Arizona Elkhorn into the inviting winter retreat for adults and families that it is today. Buildings were refurbished and decorated. Desert vegetation was trimmed and shaped to attract birds and open the views. 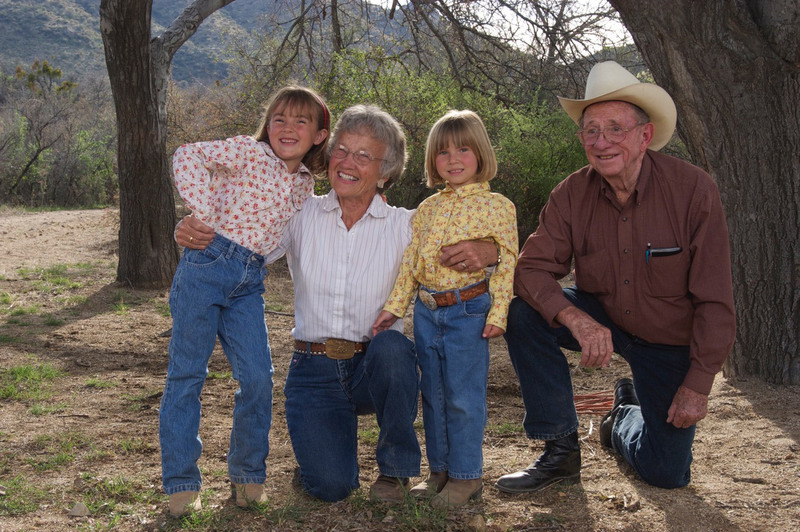 Guests returned year after year to create the feeling of extended family that makes a guest ranch experience so warm and inviting. 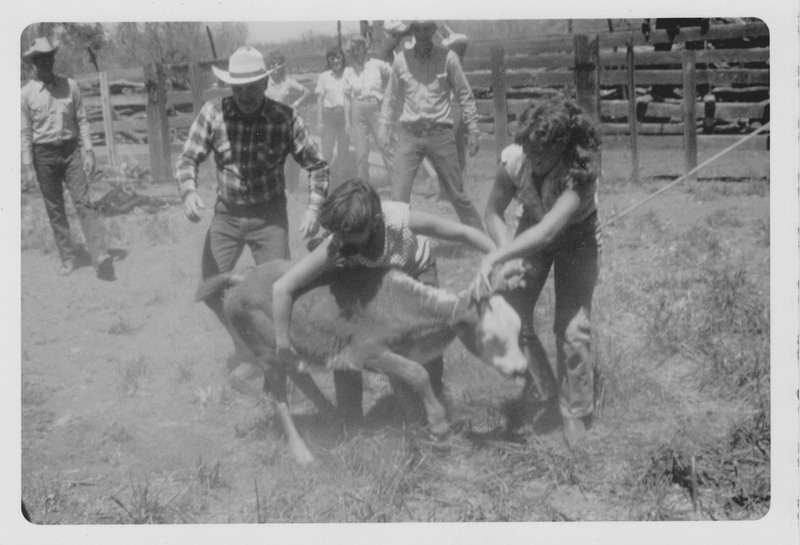 For many years, cattle were a lively part of the ranch operation. “Round Up” in the spring was a special time to visit. 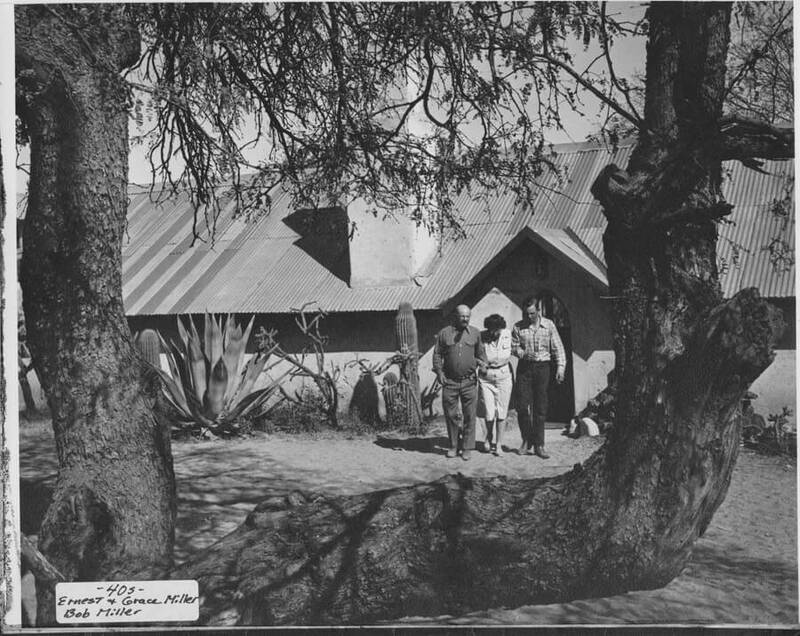 Sadly, drought conditions in the 1970s forced the Millers to decrease the number of livestock on the ranch and the last cattle left the ranch in the early 1980s. 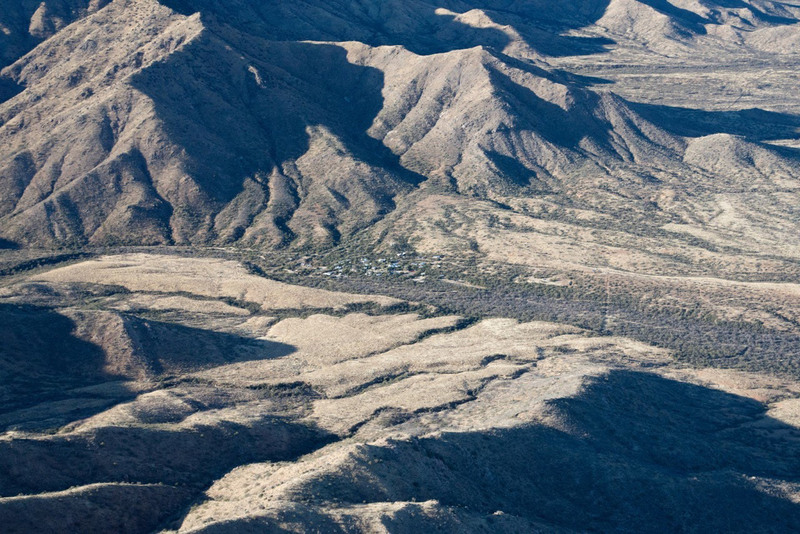 When Charley Miller returned to the ranch after about a decade away, he launched a major mesquite learning project on about 1000 acres of the ranch that allowed new grazing management strategies to recover the ranch from the 1970s drought, and be much better prepared for future drought periods which began again in the 1990s. 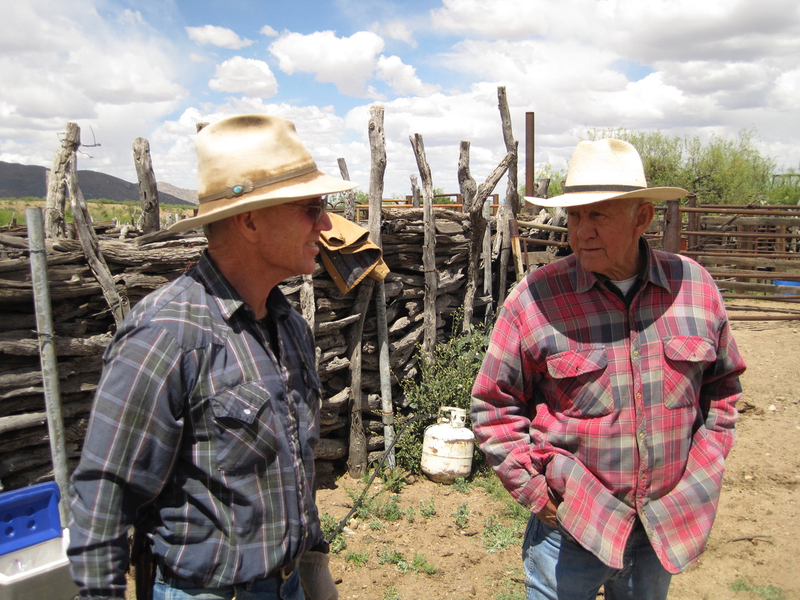 Neighbors Charley Miller and John King had a conversation at the local cattle sale that launched the Altar Valley Conservation Alliance, a watershed based collaborative conservation organization that is still hard at work today. The mission of this group is to conserve the 600,000 plus acre Altar Valley for future generations. 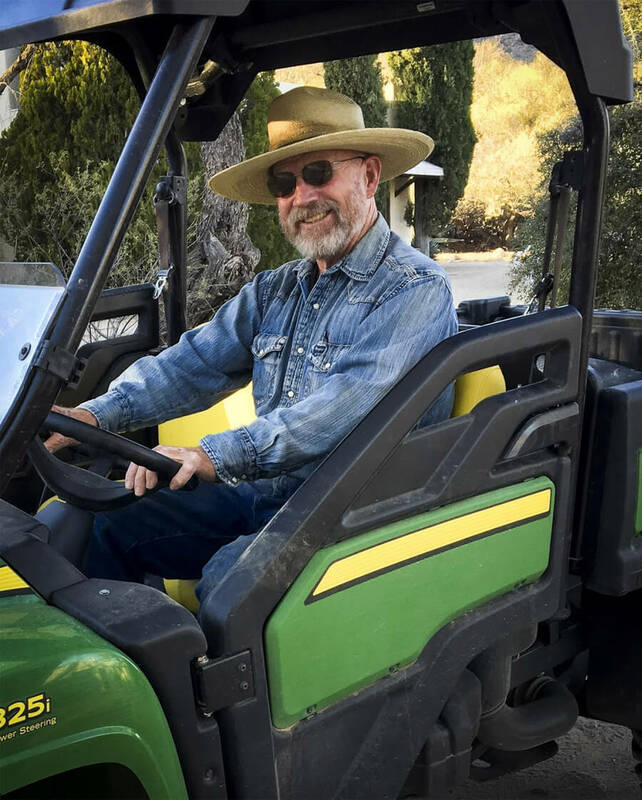 Elkhorn Ranch guests play a majoring role in supporting the organization! 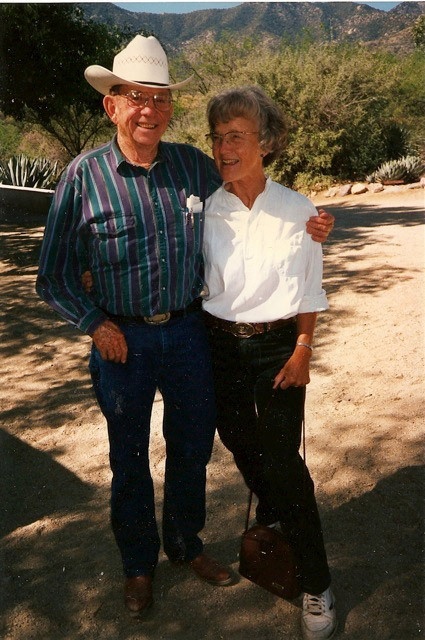 Mary Miller married into the Elkhorn Ranch operation in 1996. Her grand-parents visited Elkhorn during the early days, as did her dad. She grew up celebrating Thanksgiving at Elkhorn with relatives. Fourth generation Millers Clara and Alicia arrive and bring joy to all, particularly grand-parents Jan and Bob Miller. 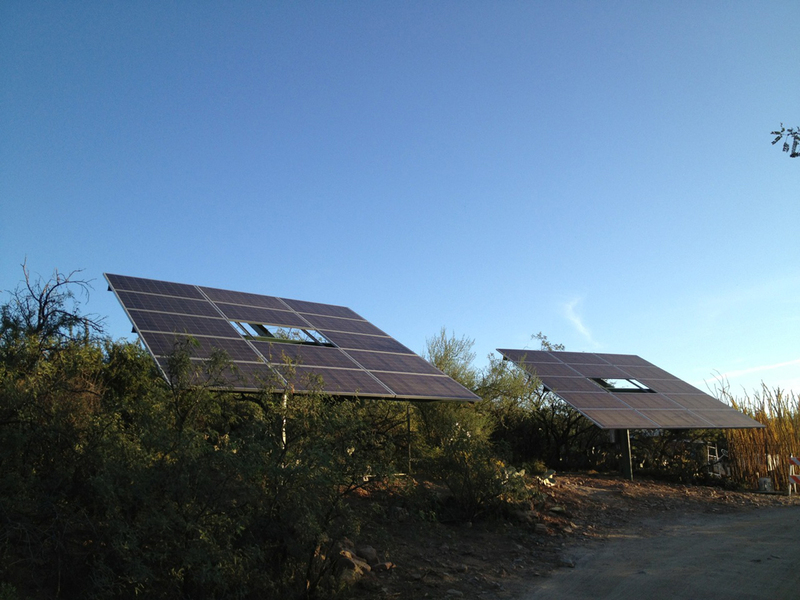 A major solar power system was added to the ranch - a contribution to sustainability. Dear friends all across the country support the Millers and Elkhorn crew as Charley Miller recovers from a severe injury. The Miller family continues the tradition of welcoming friends to their home every winter and spring. Elkhorn is truly a place where friendly horses and friendly people meet to enjoy beautiful country.